Please see details below on the up coming U16s and Beginners Spins. 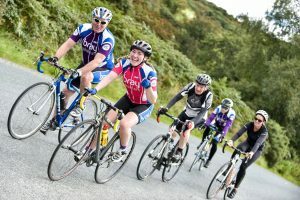 We now have a schedule of spins, which will include training sessions, and skills sessions, to prepare for racing and sportives. Central to that goal, is the preparation for the Bray Wheelers Club Racing Season, which will begin towards the end of April 2017. And this will be also for those who do not wish to race, but wish to increase skills and fitness for sportives etc. This will also provide a basis in fitness and bunch racing skills, for anyone who might wish to go on to Open Racing. There will be a range of Youth prizes on offer at the club races this year, so its a good incentive to start racing. Some of the group have already done a season of racing, and some are about to do their first races. Spins will vary in length, depending on the ability of the group, and will be held every second Sunday morning.